Posted on March 20, 2013	by . 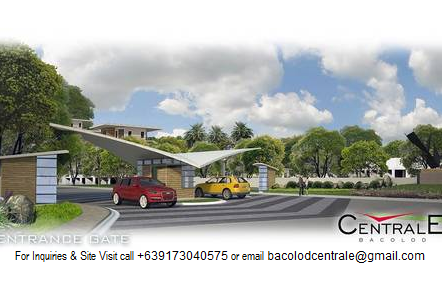 If you are looking for a lot for sale in Bacolod City, you might be interested in Centrale which is located in the center of town near the University of St. La Salle and St. Scholastica’s Academy. You can find this new residential development at the end of La Salle Avenue before you reach Eroreco Subdivision. Active Group has made the following amenities available for lot buyers and future Centrale homeowners. Watch the video below to see the developer’s perspective of the latest contemporary residential subdivision in the center of town. For more information about other real estate listings in Negros or house and lots or sale in Bacolod City call +639173040575 to reach a licensed and accredited Centrale Bacolod real estate agent. You may also email bacolodcentrale@gmail.com. Follow this blog or LIKE us on Facebook for future reference. Thank You!